This morning we saw a lot of animals in the zoo and someone was very interested to see a bear (my 2 years old son of course ). So today the invitation to play : “making a polar bear in a snowstrom”. It’s a very simple activity for your toddlers so they can improve their fine motor skill. Begin by cutting out a polar bear from white glossy paper and glue it to a sheet of blue foam art paper. 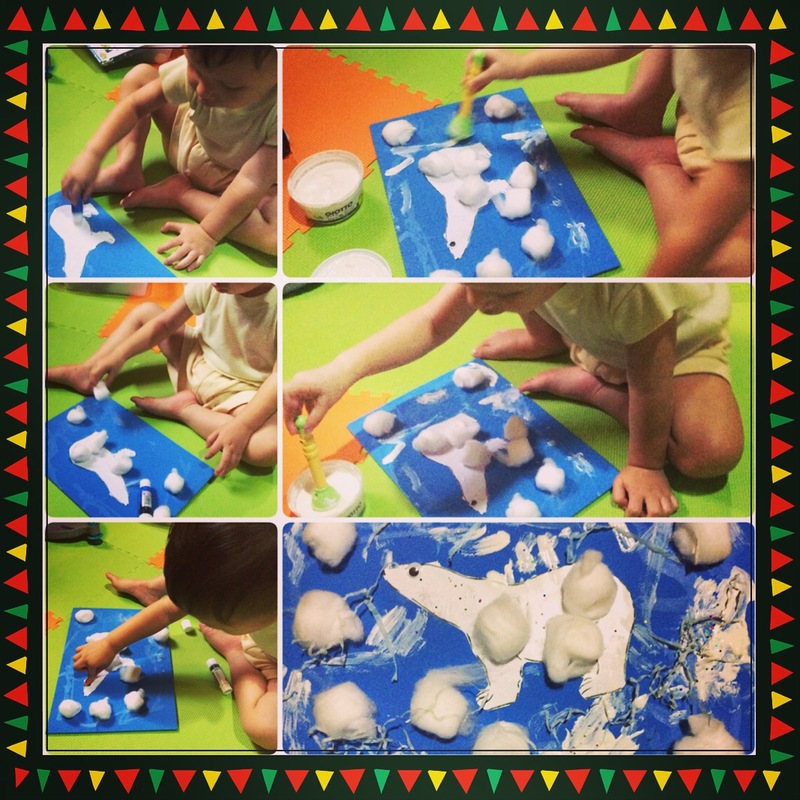 Paint the snow on a blue foam paper and glue the cotton balls to the polar bear’s body and all around the paper. ( your kids will love to do the painting and the pasting). Don’t forget to put the bear’s wiggly eye. You can also add glitter and paper streamer to the ground and sky.